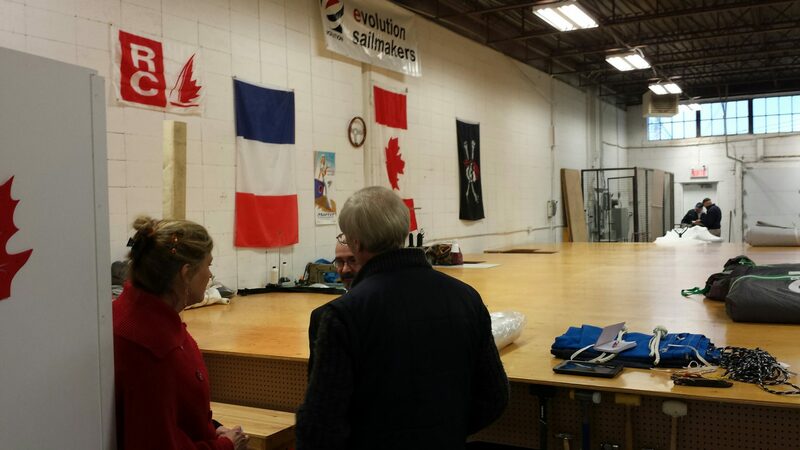 Welcome to the Evolution Sails Quebec loft! Who we are and what we do For over 40 years, Denise and Bill, two lifelong sailors, have been working in the Yachting Industry accumulating a wealth of knowledge and experience. 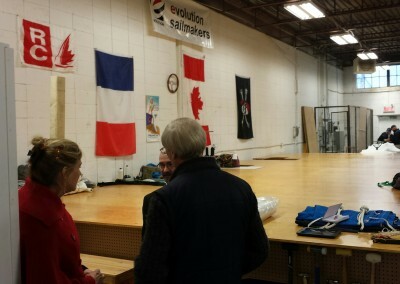 Evolution Yachting is the home of Evolution Sails Quebec, now located in Pointe-Claire, QC. Their expertise covers a wide range of services from boat building and maintenance, sailboat rigging, racing and cruising sail design manufacturing and service, to hardware, electronics, refits and deliveries. The 550 sq.ft. 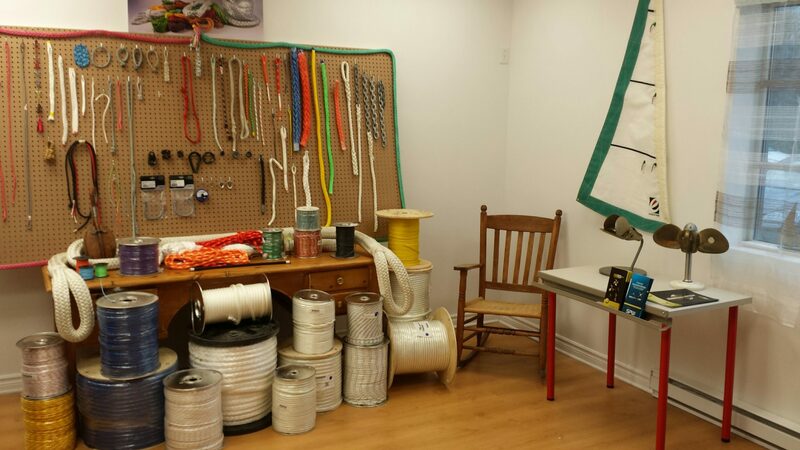 sewing table, the largest in the Montreal area, combined with the 40 ft rigging bench, can answer any and all your sewing, rigging, and anchoring needs. 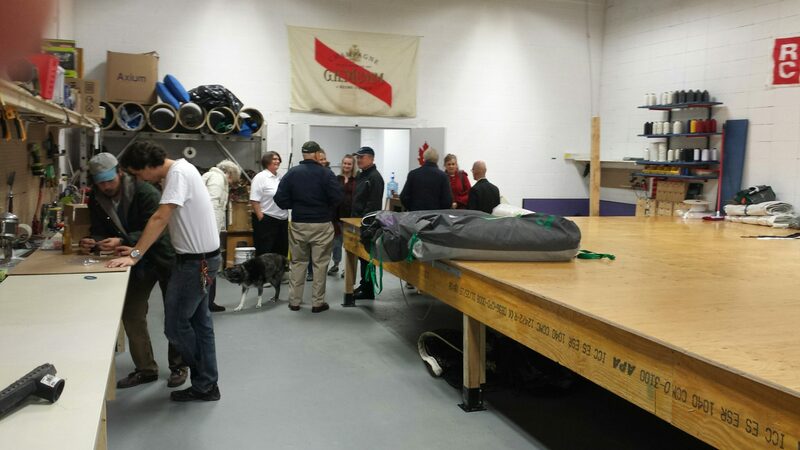 We are a full service sail facility, rig tuning, furling modifications, and gear as well as yacht hardware purchases. We are here to help and guide you through all stages of your new sail purchase, from sail and cloth selection to boat and rig measurement. We also provide custom textile rigging services from new halyards to sheets, tapered or simply spliced, custom measured dock lines, what ever your cordage needs. Special anchoring hardware from windlasses to anchors, to rope chain assemblies, using Italian imported chain from MaggiGroup and Canadian cordage is also available. Evolution Yachting is Evolution Sails Quebec. 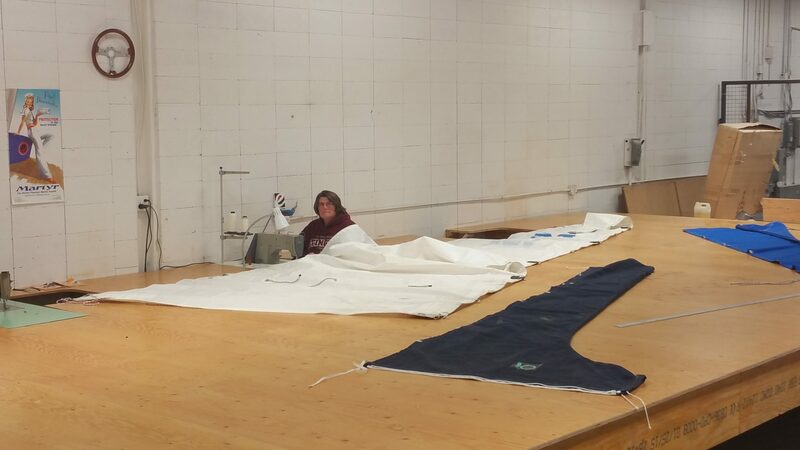 Evolution Yachting propose un service de voilerie complet – elle dispose d’un atelier avec table de couture de 550 pi2 – pour tous besoins de couture pour des voiles, dodgers, bimini, coussins, bâches etc. 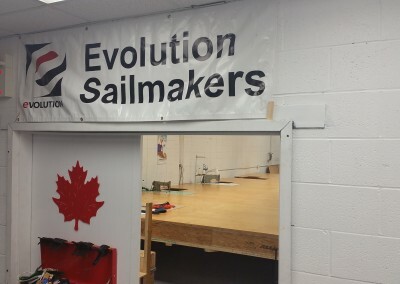 L’entreprise est aussi représentante d’Evolution Sails Toronto, une voilerie qui offre des produits faits au Canada. Ce nouveau centre de services offre du gréement textile personnalisé incluant épissage pour répondre à tous vos besoin. Ils sont également importateur canadien de chaine G4 et G7 de MaggiGroup d’Italie, offrant des ensembles de chaînes et de cordage fait sur mesure, avec épissure standard ou effilée. Denise is a life long sailor who enjoys both racing and cruising. 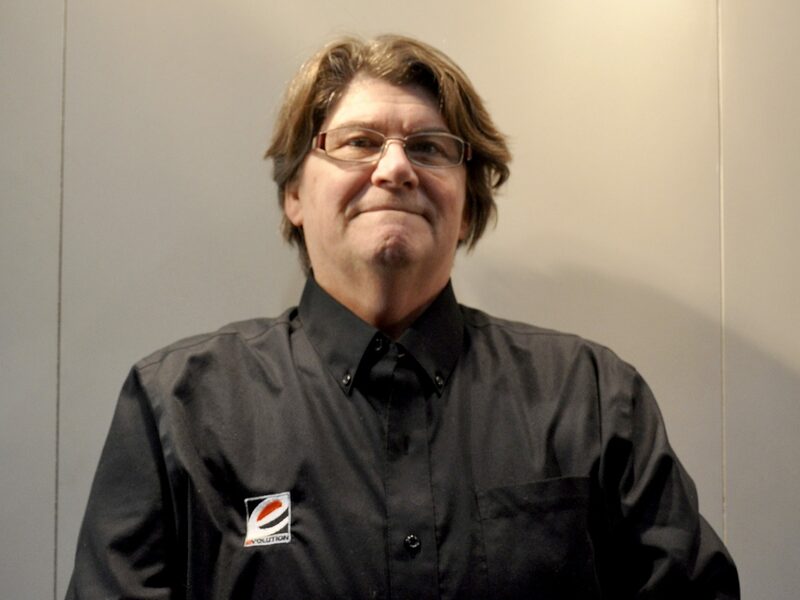 Her work experience extends from her days running the rigging department at Binnacle in downtown Montreal in the 80’s to running Evolution Yachting’s at their new location in Pointe-Claire. 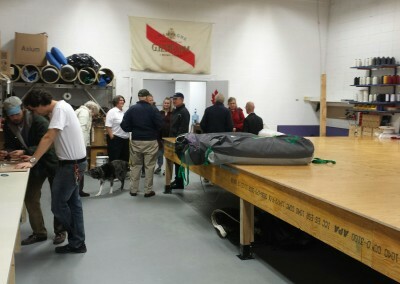 The new facility, with it’s 550 sq.ft. 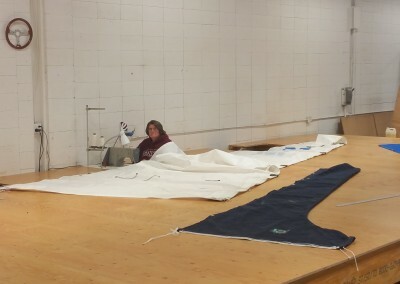 sewing table and 40 ft work bench, allows for sail repairs and modifications. 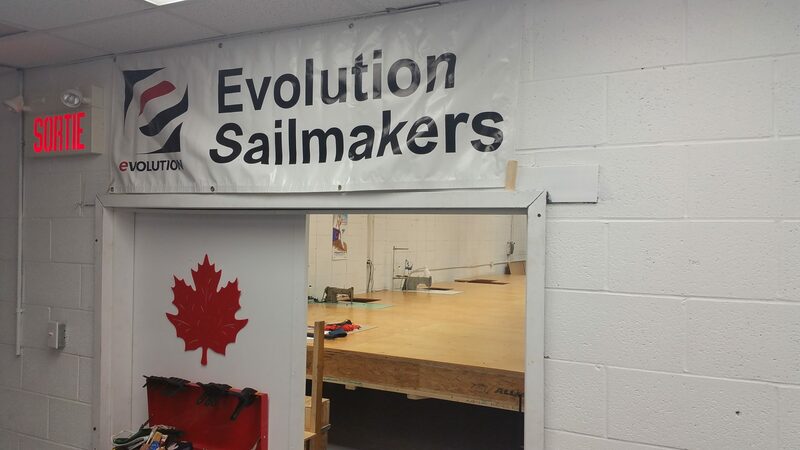 Additionally, it enables Evolution Yachting to produce custom textile rigging, complementing the sails of Evolution Sails, which are proudly Canadian made at the Evolution Sails Toronto loft. Alex has been in the marine industry for half a decade, from retail sales to industrial production of marine equipment. Developing his skills on a sewing machine Alex is now entering the world of sail making and repair beside Denise Bienvenu. 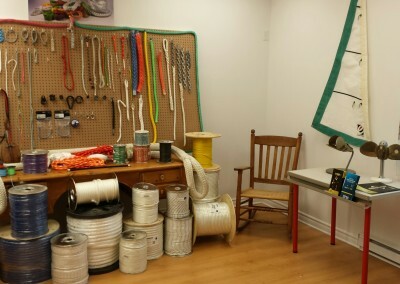 Specializing in cordage, Alex can splice and work a wide variety of materials from modern synthetic, such as Vectran and Dyneema, to classic natural fibred manilla. 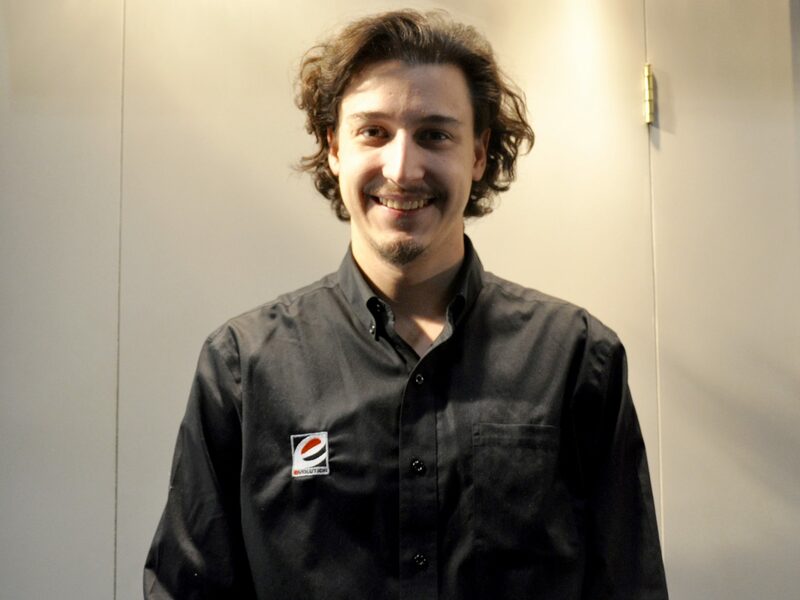 Whether it’s customer projects, simple dock lines, outfitting your vessel with modern systems, or all new lines Alex is the guy to assist you with all your needs. He is looking forward to improving your sailing experience!